Beadboard, wainscotting, panelling, board and batten... whatever you call it, trimwork on walls has grown in popularity for the last few years. The ceiling is the new frontier. 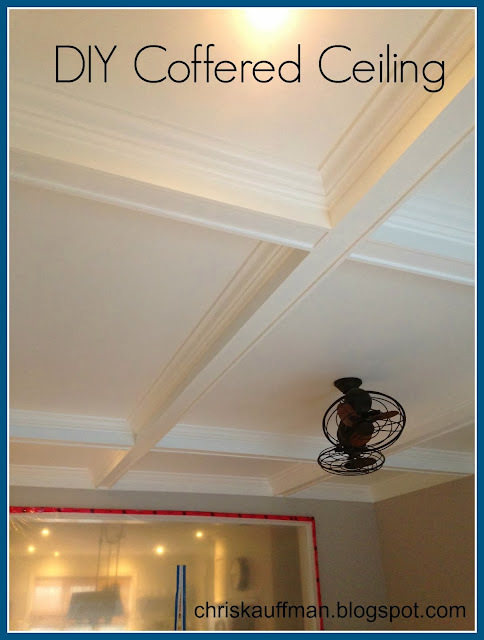 The 'fifth wall' is becoming a place to add character and I think the traditional look of a coffered ceiling will be on many most coveted lists. If you are brave and super-handy, you can go the DIY route like Chris did. My neck hurts just thinking about how many hours it took her to put that in! The momentum on hand-drawn art has been building for a while. Artists like Julia Rothman, Shanna Murray and Dana Tanamachi have made illustration popular again. We're starting to see a shift from the hard lines of geometric patterns and graphic, word-based art to something more organic and flee-flowing. 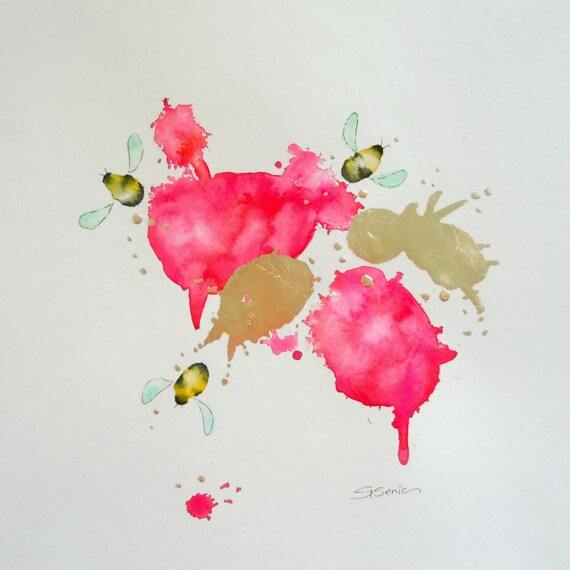 Watercolours, calligraphy, abstract art by adults and children... I think this is what you'll be seeing on canvases and adorning walls throughout the year. Black and white is always a classic pairing but I predict the perennial decorator favourite will be the choice for the mainstream in 2014. Maybe its the desire to simplify our busy lives or a greater appreciation for the versatility of a white-painted room, but black and white seems to be just right for today's interiors. 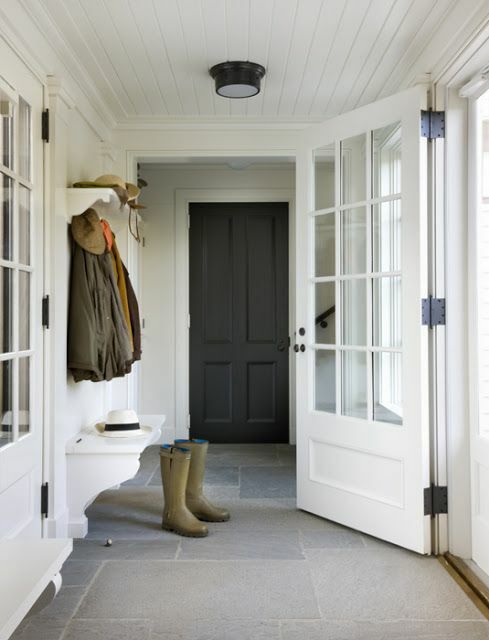 It suits most any home from crisp Scandinavian style, to modern farmhouse, or uber-modern minimalist. White can freshen tired rooms and make your surroundings feel brand new - just what I'm craving this time of year! As spring approaches, I'm in the mood for bold, lush florals, reminiscent of the English countryside and colourfully chaotic gardens. Our increasingly relaxed interiors call for free-flowing foliage, with artful fiddle leaf figs and succulents giving way to frilly peonies and fragrant roses. Afraid of committing to such a bold look? 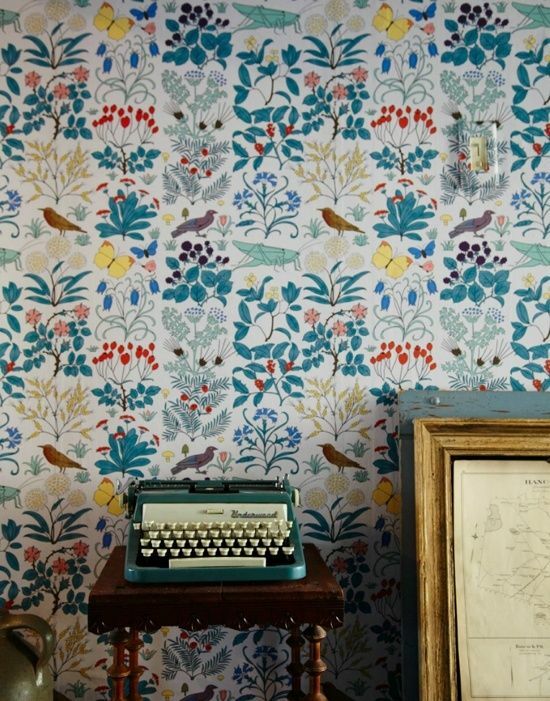 Use it in small doses like wallpaper in a small powder room or on pillow shams to liven up neutral bedding. What do you think? Are you a fan of any of these elements? What do you think will be hot in 2014? Or what trends are you happy to leave behind?